In response to the summer hunger problem, the USDA created the Summer Food Service Program to give schools, agencies, non-profits, etc., the funding to be able to offer free meals to children 18 years and younger at approved low-income sites. Still, as of summer 2015, the summer meal program remained underutilized when compared to the number of low-income children accessing school meals during the regular school year. 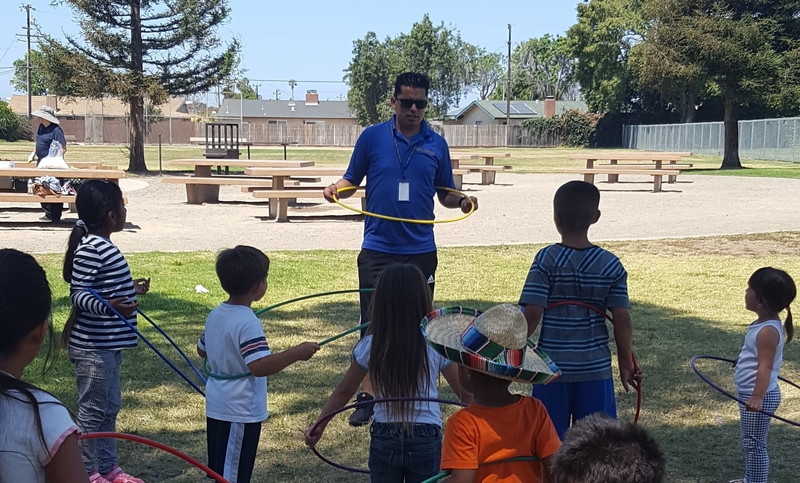 To offer excellent programming and increase participation in the summer food program, partnering agencies in Santa Maria worked to provide physical activity, nutrition education and other summer enrichment programming at local city parks in conjunction with the Summer Food Service Program. The Safe and Strong All Summer Long program was coordinated through the Santa Maria City Recreation and Parks to provide free, drop-in recreation opportunities from 11a.m. to 2 p.m. in parks throughout the city all summer. Meals were brought to the parks and served for one hour by the local food bank and Community Action Commission staff and volunteers. SNAP-Ed funded agencies have been encouraged to partner with Summer Food Service Programs, though the logistics of working with different agencies and providing education programs in non-traditional settings isn't always easy or clear. 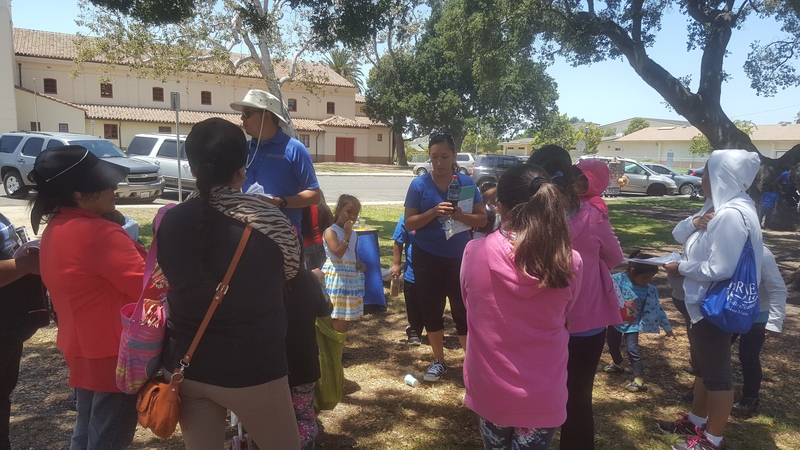 During summer 2016, UC CalFresh Nutrition Educators in Santa Barbara County partnered with the Safe and Strong All Summer Long food program to provide staff training and support for family enrichment and physical activities. 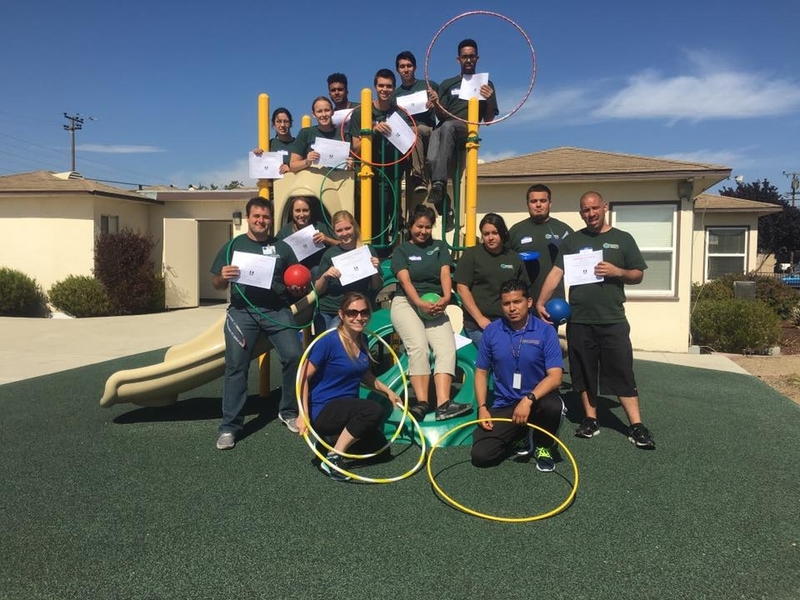 UC CalFresh staff kicked off the partnership by leading a one-day CATCH (Coordinated Approach to Child Health) Physical Activity training for over 20 Recreation & Parks staff. CATCH focuses on inclusive physical education that keeps youth engaged and active. 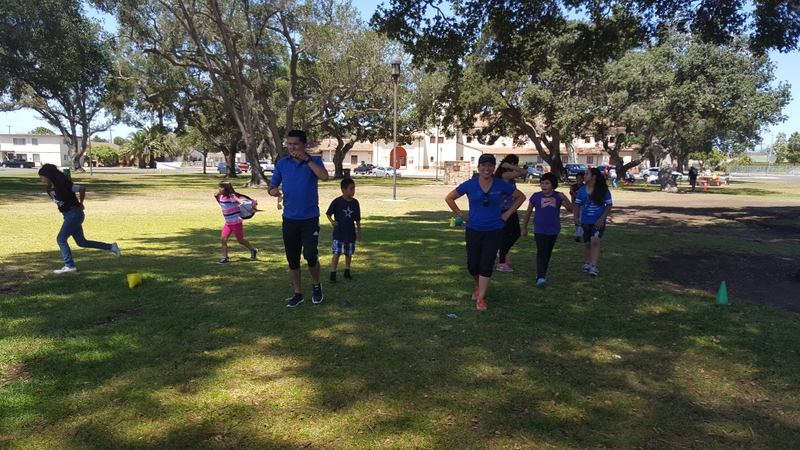 After the training and throughout the summer, UC staff participated weekly at two park summer meal sites encouraging youth and their families to get physically active, drink water and eat healthy. UC staff continued to provide guidance and training on-site to Recreation & Parks staff on how to engage a variety of youth of all ages in fun physical activities. Several other partner agencies also provided engaging programming to parents while the youth were eating their lunches. The local hospital and County Public Health Department conducted food demonstrations and distributed healthy recipe food samples to parents at sites throughout the city. In a focus group conducted in June 2016 with parents from the local school district, parents commented that they would like more information and ideas about how and where to do physical activities as a family. Participants commented that they appreciated that their children were learning how to be physically active at school, but it would be helpful to have information on how to involve the whole family: parents, siblings and all of the family so they could get exercise and enjoy their time together. By providing free drop-in programming at local parks, in conjunction with free meals for youth, the Safe and Strong All Summer Long partnership was able to provide access to safe spaces for families to come together during the summer to be physically active and reduce food insecurity.